Exclusive! Floral print on crisp white backdrop, a traditional favorite! 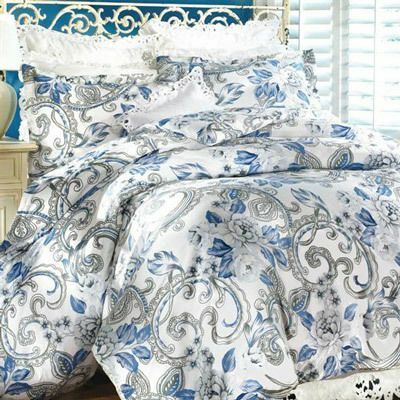 Our Blue Floral Duvet Set is super-soft, easy-care polyester microfiber. Button closure. Machine wash. Imported.